We offer three types of celebrations / parties according to the number of participants and extent of provided services. If you have any questions or personal requests, do not hesitate to contact us. We will be anxious to please all your needs and requests! You can pre-order a celebration right now using our form. After an agreement , we can upgrade your party with stylish decorations (Cars, princesses, Winnie the Pooh and more), princezny, medvídek Pooh apod. Includes: reservation of requested seats for adults, praparation of children table (large table-cloth, confetti), 1 bottle of Robby Bubble for the toast, balloons according to the number of kids. 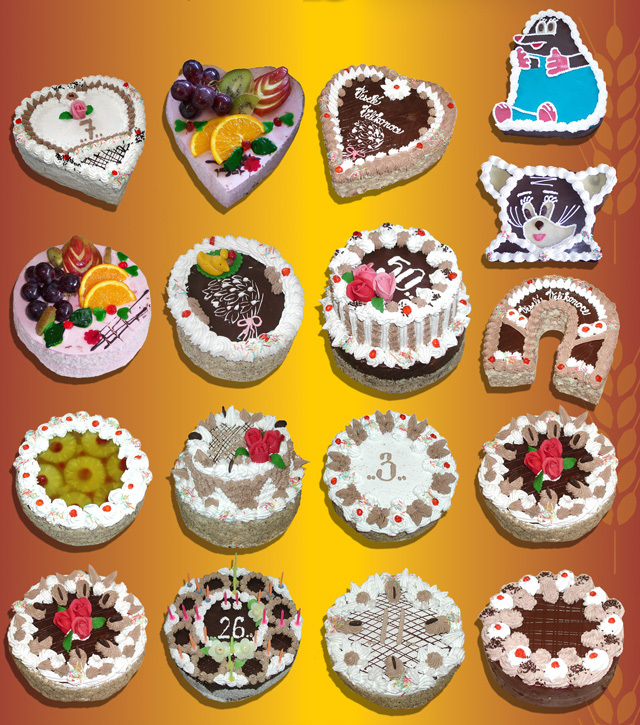 This form of celebration is suitable especially for smaller and shorter parties. In this case, children do not pay the kids' corner entrance fee. The café runs ordinarily. This form is suitable especially for moderately large parties. In this case, children do not pay the kids' corner entrance fee. The café runs ordinarily, however the party has its own private part of the café. Includes: same as A and café is closed for public. This form is suitable especially for big all-day celebrations or company parties (invoicing possible). Children are not charged the kids'corner entrance fee. The café is closed for public. Please mind that the maximum capacity is 48 sitting adults. We consider a reservation (time and type of celebration) valid only after the non-returnable deposit has been paid. Reservation by phone in advance lasts only for 4 days. When the deposit is not paid until then, such a reservation will be automatically canceled. Deposit for "A" and "B" is 200,- CZK and for "C" it is 3.1.200,-/1.600,-/2.600,- CZK. This deposit is non-returnable regardless of the reason for cancelation! 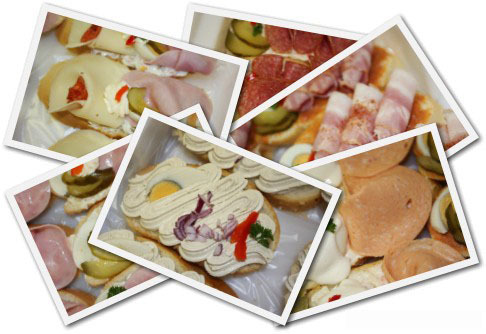 For all types of celebration, we provide supply of delicious sandwiches, fresh desserts or cakes. Furthermore, it is possible to arrange a birthday menu, draught beer and more gourmet specialities. In case of interest, for a price of 250,- CZK per hour we can provide an "animator" who will spend time with children (drawing, construction of models etc.) or a photographer to catch all your happy moments. We recommend to place your reservations at least one week ahead, especially with regard to catering. Animator must be reserved 14 days before party! After clicking on the picture you will vew the gallery. Amount of ham, cheese, salami, walnut salad, fresh vegetables, eggs and vegetable garnish is 250g per person + pastries. Programs are designed in the way that all children and especially the toastee are in the middle of attention. It is possible to arrange your own adjustments to the program so it appropriately fits your child's age and your genereral expectations. The Balloon Clown, face painting or the juggler can be parts of the Carnival for an advantageous price. For these programs, it is necessary to place a reservation at leats 3 weeks in advance and pay a deposit (100% of the full price). Birthday, kids' or company party – only in the jolliest childrens' café in Brno!